Cat lovers and dog lovers alike will howl with laughter at this little girl's willful insistence that her cat is a dog. The hilarious ways in which cats and dogs are different are brilliantly illuminated with each turn of the page and will leave young readers and their grown-ups giggling. Was that a flash of lightning? A rumble of thunder? Better get ready--there's a new crew in town! As Bulldozer piles up clouds and Tanker Truck hauls the rain, the whole Thunder Truck gang works together to build a tremendous storm. Brimming with energy and fun, this cheerful bedtime story is perfect for snuggling, no matter the weather. 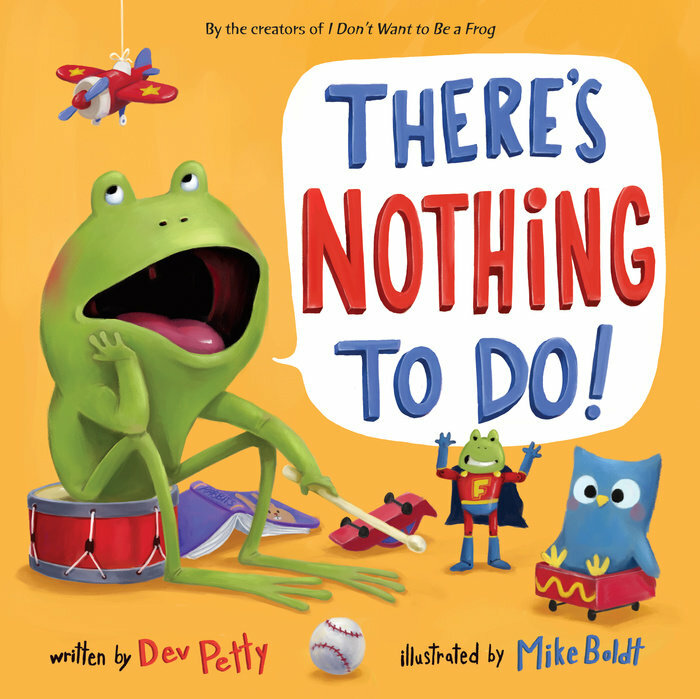 Featuring the beloved young frog character from the hit I Don’t Want to Be a Frog and his cast of zany animal friends, this new story is sure to bring a smile to every kid who’s ever protested at bedtime. And parents will appreciate a bold new twist on a timeless childhood topic. It’s another surefire crowd pleaser and perfect read-aloud. Claire and Fluffy are best friends. But as the day progresses, everything that can go wrong, DOES. Claire has tried to keep it all together. But now, her anger has got the best of her! Join Mike Boldt on a humorous, larger-than-life story of one of the tenets of being a kid: the TANTRUM. In the next book in the I Don’t Want to be a Frog series, young Frog learns an unexpected lesson about how NOT to be bored. Perfect for fans of Mo Willems’s Don’t Let the Pigeon Drive the Bus! and Jon Klassen’s I Want My Hat Back! Sequel to the hit "I Don't Want to be a FROG"! A new reptile is swimming up to Frank’s campsite . . . and it’s not a dinosaur! Frank and his cousin Sam believe anything is possible. They have a pet dinosaur, after all! So when Frank’s dad tells them he saw a Nothosaurus in the river, they can’t wait to look for it on their camping trip. The Notho is a prehistoric reptile, not a dinosaur . . . but is she dangerous? There’s only one way to know for sure: find that dinosaur—er, reptile! A Tiger Tail book trailer! Frank’s grandma is a famous paleontologist (that’s a dinosaur scientist). But she’s also an adult who makes up rules. Rules like: no digging for dinosaur bones when you have a sunburn. That means Frank is stuck playing inside with his annoying cousin, Samantha. But then Grandma finds a fossil of an egg! And when Frank and Sam sneak into the dino lab late at night, they find something even more amazing. . . . The hilarious Dino Files chapter book series follows a nine-year-old dinosaur expert, his paleontologist grandparents, a cat named Saurus, and fossils that might not be so extinct. Since her birth, Lula’s LOUD voice has wreaked ten kinds of havoc across Pryor County, disrupting humans and animals alike. Lula’s parents are worried: What’s going to happen when Lula starts school? Will Lula ever learn to use her “inside voice”? But when Lula spots something sinister making its way toward town, it seems that she may have found just the right use for that BIG ol’ voice after all. With a text chock-full of Southern charm and silly digital illustrations that bring this tall tale to life, kids will giggle at the antics of the unforgettable LOUD Lula. "This amusing story ends with a laugh and a much more content frog." It’s time for the Miss Dinosaur pageant and the girls are ready! Patty Saurus puts on her best dress. Stef O’Saurus covers her scales with jewels. Teri Dactyl practices flying and Sarah Topps practices hula hooping on all of her horns. But there’s one dinosaur who doesn’t need to prepare because . . .
Tina Rex always wins! She’s a fierce competitor and her brilliant smile scares away the other girls. But is it really fun to win when you’ve chased away all of your friends? Tina’s not so sure. This hilarious mash-up of dinosaurs and beauty pageants will delight readers young and old. And Tina Rex might just teach little ones a gentle lesson along the way. Follow the duck in this madcap romp around the farmyard, which will have kids delighting in his clueless antics and witty wordplay. Bouncing rhymes are perfectly paired with colourful, exuberant art full of visual gags that will have readers laughing along and anticipating what will happen next. A little absurd, a lot slapstick, and all good fun, this is one to keep within arm’s reach at storytime. Prepare to be amazed as two teams of Colors and Shapes compete for the top prize at a spectacular talent show! Which team deserves the spotlight? Colors can really mix it up, but nobody stacks higher than Shapes. How will the judges ever pick a winner? Ultimately, author-illustrator Mike Boldt reveals the amazing things that can happen when Colors and Shapes come together. A follow-up to 123 versus ABC, this zany picture book is a fun introduction to simple but important concepts, and a stepping-stone to basic geometry. This is a book about Numbers...err I mean Letters...errr... I don't know yet! Letters and Numbers BOTH believe this book is about them! And when one alligator shows up (that starts with an A) the craziness really takes off. “Readers won’t care whether it’s about letters or numbers - they will be too busy poring over the artwork and laughing.” -Kirkus Reviews STARRED REVIEW! "Boldt’s illustrations have a dimensional, painterly quality that recalls Adam Rex’s work, and the absurd scenarios, strong-willed personalities, and visual gags will have kids laughing from A to 26." When Kristi goes fishing with her dad they end up catching more than they expected. 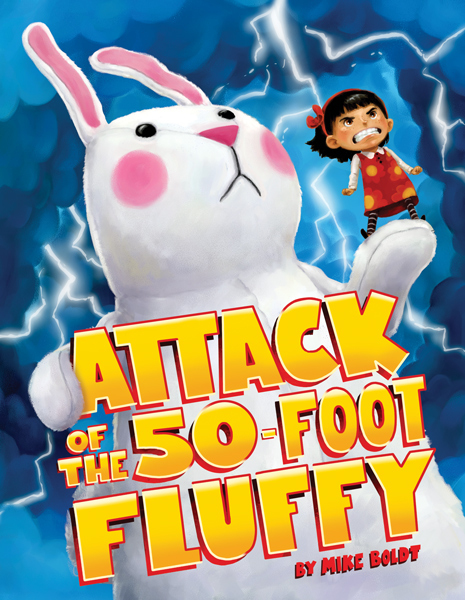 Helaine Becker and Mike Boldt team up for another hilarious storytime romp! Let's hear it for our underwear! From boxers to bloomers and briefs to bikinis, whether they're frilly, silly, or saggy — we all have our favourite pair, so give three cheers for underwear! Old MacDonand had a dog ... didn't he? When Little Jack Horner steps out of the corner to sing a simple song, things get complicated. This hilarious take features favorite nursery rhyme characters and a little song you thought you knew. "Helaine Becker's text sparkles with up-tempo wit and irreverence . . . Mike Boldt's detailed oil illustrations also offer plenty of laughs . . . This funny riff on familiar characters and songs hits all the right notes." "Little Jack Horner Live from the Corner is a fresh and wonderful attempt to modernize old nursery rhymes and is a must-have for all children’s collections. Highly Recommended." – Roxy Garstad of CM Magazine. Selected as one of CCBC's Best Books for Kids and Teens 2011! Farmer Burrows is just an ordinary farmer with an ordinary farm until some extraordinary gophers move in. From then on, the cows, chickens and even the tractors are stacked high into the sky, one on top of the other. This proves to be not only a strange sight to see, but a tricky situation for Farmer Burrows. Find out how Farmer Burrows makes the most of this most unusual gopher problem.